It isn’t a secret that flying has lost its glamour from the glory days of air travel. In the 60s and 70s, flying commercial meant dressing for the occasion (not donning sweats! )—and even flight attendants during the Pan Am days showcased a certain je ne sais quoi with tailored suits and matching pillbox hats reminiscent of Jackie O. But, we can now say glamorous air travel is back (at least for airline employees). 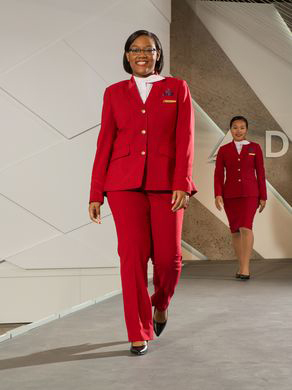 Delta just unveiled new uniforms for 60,000 crew members teaming up with New York Designer Zac Posen who has dressed the likes of everyone from Claire Danes to Reese Witherspoon. Flight attendants won’t be the only ones to get an upgrade to their uniform—customer service agents, ramp agents and technicians will also enjoy new looks. 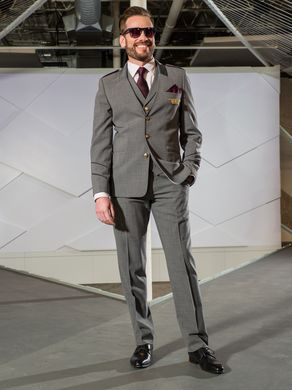 The world’s best employees deserve the best uniforms and this new collection is classically influenced, yet modern. Zac and the Delta team worked closely with our people to create timeless and fashionable pieces that reflect the thoughtful and innovative spirit of Delta.” said Ed Bastian, Delta’s CEO. Posen shadowed Delta workers to get a sense of their on the job needs to design functional and stylish uniforms. “We wanted Delta employees to look glamorous on the job without sacrificing functionality and style,” said Posen. 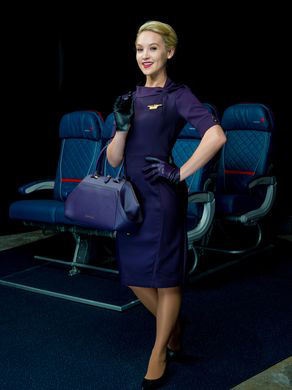 “I worked alongside employees to understand how they interact with the clothes they wear and developed a look that empowers and excites, because we want Delta’s global workforce to exude the confidence and thoughtfulness that reflects the airline’s brand,” Posen added. 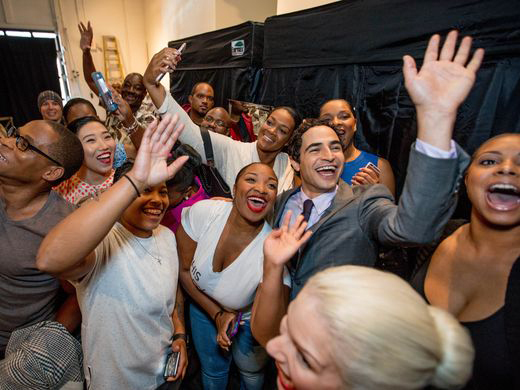 Delta threw a splashy runway show to unveil the collection with Zac Posen at their home base in Atlanta recently. It’s safe to say; we can’t wait to fly Delta to get an up-close look at the collection.